Michelle Oosthuizen, Cobus Janse van Rensburg and Vanessa Naudé are telling people all about Mossel Bay and the Garden Route. 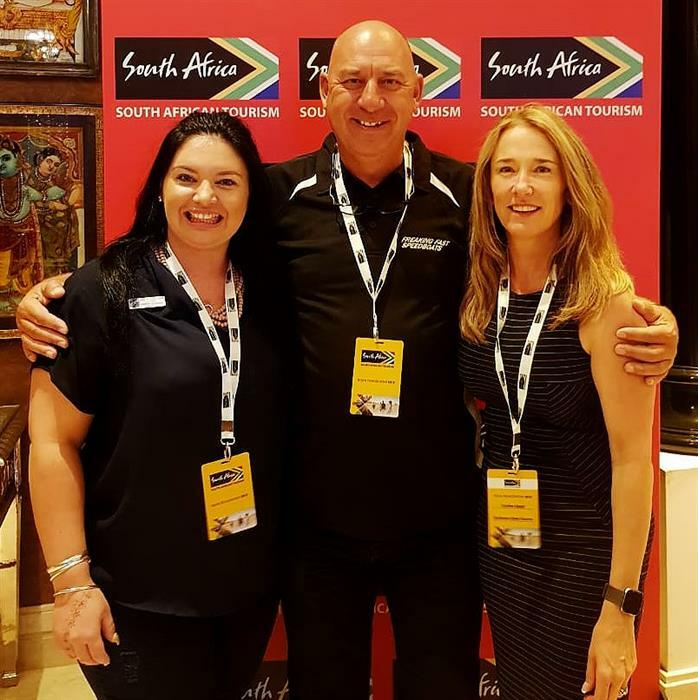 MOSSEL BAY NEWS - Mossel Bay and the Garden Route tourism representatives are attending the South Africa India Road Show, where they are ensuring that Mossel Bay is top of mind of everyone attending the show. Mossel Bay Diaz Hotel & Resort, Freaking Fast Waverider and Gondwana Game Reserve are proudly promoting the greater Mossel Bay area at the show, where approximately 2 000 Indian tourist agents will visit their stall at the roadshow in Mumbai, Chennai, Kolkata and Delhi.